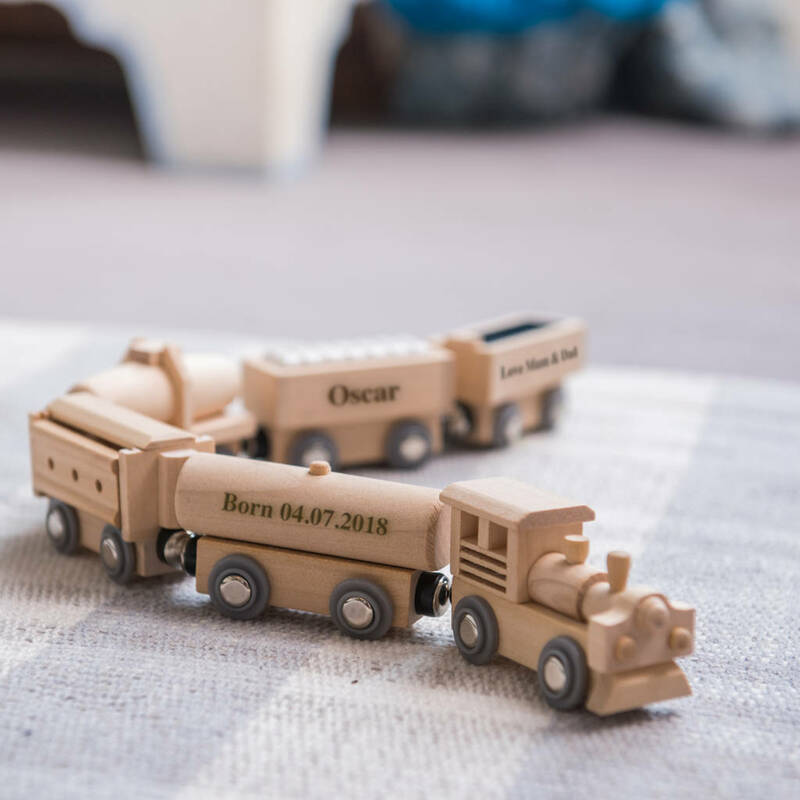 This personalised Wooden Magnetic Train is sure to delight any little boy and would make a wonderful keepsake christening gift . A wonderful personalised gift,something that is sure to be treasured by any new mother . You can also choose to include train track with your train.